Public Menorah Lighting, Music, Entertainment and of course tons of doughnuts. 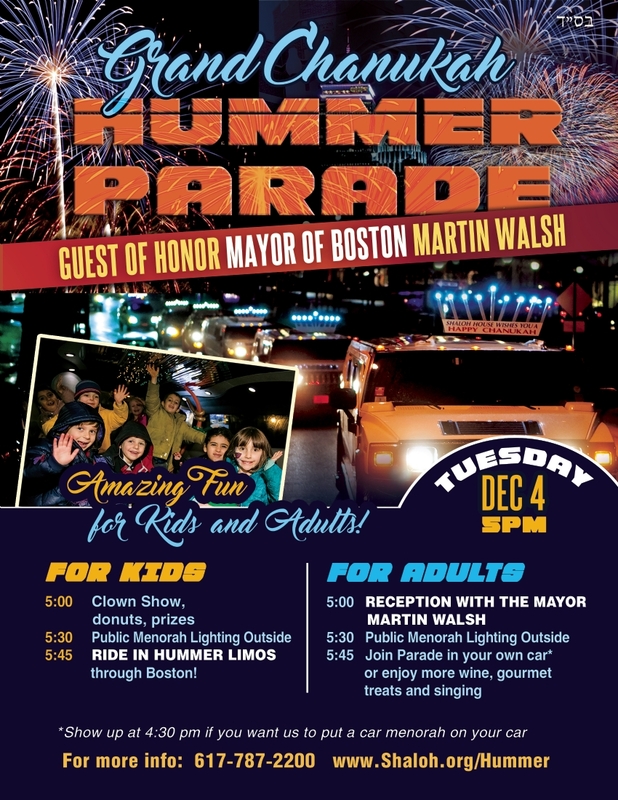 Kids - grab the opportunity of a lifetime to ride in a Hummer Stretch-Limo with a car menorah on top through the streets of Boston. Adults – join our parade in your own car!!!! A limited amount of car-menorahs are available. 5:30 pm – 7:30 pm Grand Chanukah Car parade. 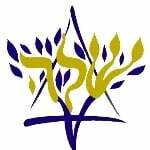 7:30 pm – Hummer Limos return back to Shaloh House for pick up. Total of 50 children will be allowed on three Hummer-Limos please RSVP. *Show up at 4:30 pm if you would like a car menorah mounted on your car. CLICK HERE to register your child for the parade.